Newcastle United manager was "bemused" as to how he suffered a fourth defeat in five FA Cup matches. The answer was substitutions. Alan Pardew used to have a special relationship with the FA Cup. Not any more. Perhaps jilted by his cheating on it with the Premier League, the way the famous competition comes back to bite Newcastle United’s manager has become a gruesome January event. Pardew’s record in the most romantic of cup competitions now reads played five, lost four. If you want a straw to grasp at, the standard of sides handing out the beatings is improving. For the first time one of his Magpies sides was knocked out by a team at least on loan to the top flight for this season. Judging by the boos at full time, no one at St James’ Park on Saturday was looking on the bright side, and rightly so. This is Newcastle United, the third-best supported team in England, not some tin-pot, lower-league, just-here-for-the-day-out club. Never mind Pardew, his boss Mike Ashley needs to wake up to that. If Pardew gets another chance – and 12 months is an eternity in football management – he must patch things up or he will be heading for a messy divorce with his supporters. Cardiff City do not have a monopoly when it comes to a disconnect between the fans and their club. It is not the thought-of stability or the promise of mediocrity which persuades supporters to part with hard-earned cash at the turnstiles. They hung posters of footballers on their walls as children, not photocopied balance sheets. It is dreams of great goalscorers, thrilling matches, cup finals and European adventures which get the juices of Newcastle supporters flowing, not the thought of posting profits. Going into the game on the back of consecutive defeats, Pardew needed a win for its own sake too. Manchester City are next, although this team are perfectly capable of beating them on their own patch because that is a game they will be up for. Pardew at least had the good grace to look shell-shocked after the game or so we were told – as another party disconnected from the club, this newspaper was not allowed to see. His bosses may be indifferent to the Cup but he at least has seen what it can do for a club. He declared himself “bemused” at how his side had lost. 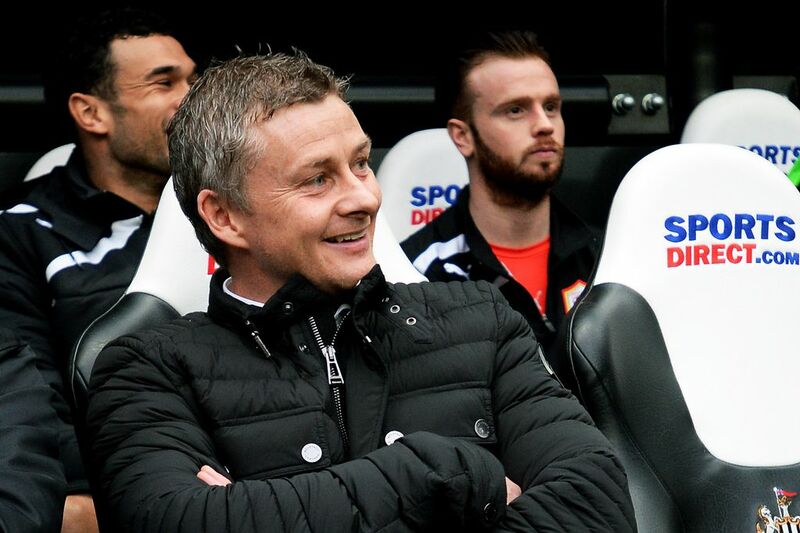 Inevitably in Ole Gunnar Solskjaer’s debut win as Cardiff manager, the answer was substitutions. Craig Noone and Fraizer Campbell came off the bench to score the Bluebirds’ goals, but it was Pardew’s first substitution which set the tone. His three previous Cup defeats were down to fielding weakened sides with a view to Premier League games to come. On Saturday Pardew made seven personnel changes and one positional. It is a stick which will no doubt be used to beat him, but that would be unfair. With the FA seemingly determined to undermine their flagging competition by steadfastly refusing to move it from the back end of an overloaded festive schedule, changes were needed. The team selected was more than good enough to beat a Cardiff side which had itself been altered. What was lacking was any sort of motivation. There Pardew takes some blame, but so must those given the honour of wearing the black-and-white stripes. With that comes a responsibility they shirked. Newcastle’s 31,166 crowd was the day’s third biggest, but there were 20,000 empty seats in cavernous St James’ Park. Which came first, the players chickening out or them not being egged on is debatable, but the flatness around the echoey stands was replicated on the pitch. Eventually Newcastle took control of the game. They hardly overwhelmed their opponents but did enough. After Hatem Ben Arfa twice struck the woodwork, relief came in the form of a much-needed goal for Papiss Cisse. Then Pardew struck. To Pardew’s surprise, his team took their foot off the gas. Solskjaer put his down and was rewarded. By the time Pardew attempted to rectify his mistake with Loic Remy and Shola Ameobi, there were just six minutes to chase the game. The mere fact Cardiff had a new manager guaranteed the red-shirted Bluebirds would be up for the game. Newcastle’s coaches failed to coax similar spirit from their players. Cardiff had a goal disallowed early on and, while their other shots were hardly anything to send shivers down Rob Elliott’s spine, it was more than Newcastle came up with. After 25 minutes Ben Arfa, playing as a centre-forward in a 4-4-2, finally lifted the crowd when he struck the base of David Marshall’s right-hand post. Campbell would hit the same bit of wood 45 minutes later, while Ben Arfa had a shot tipped onto the bar early in the second half. From there Newcastle did enough, but no more, to merit their lead. Defenders converged from everywhere as Moussa Sissoko collected Yoan Gouffran’s pass, but the ball fell to Cisse for only his second open-play goal this season. The reason for playing the Senegalese was to find him some confidence and that ought to have done it. Four minutes later Sissoko headed to Cisse. The man who fired Newcastle into the Europa League would have volleyed into the net, but this pale imitation hesitated and shot wide when the ball came down. When an equaliser was needed, Pardew had no choice but to bring him off, whatever it might do to his morale. Former Sunderland man Campbell had been introduced just before the goal and was starting to cause problems, heading wide Kevin McNaughton’s cross wide, then hitting the woodwork. Famed for his ability to read a game from the bench as a player, Solskjaer read the signs and threw on Noone and within seconds he hit an excellent equaliser. To no one’s great surprise, Campbell followed it up with a header from a corner.